A long array of saffron robed monks walked down beside me. With their patram in their hands they hummed in unison some sholkas. 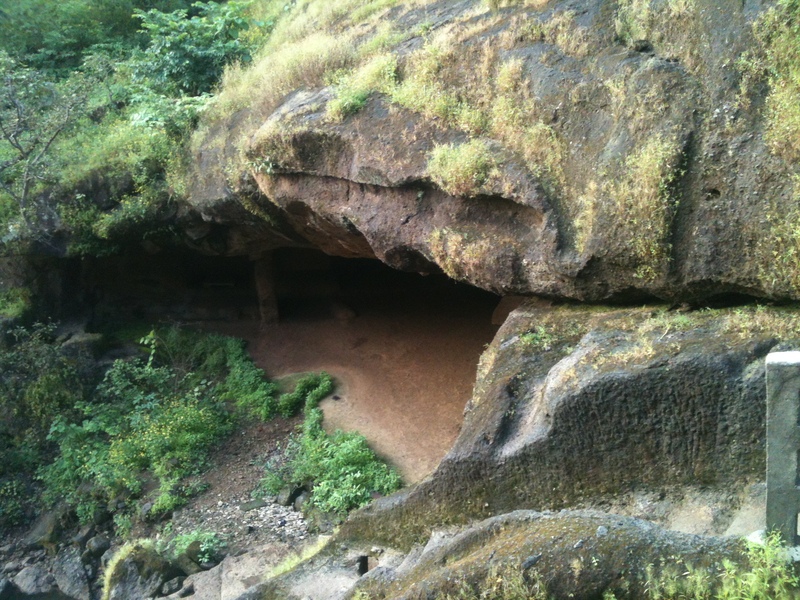 With their bare feet they climbed the basaltic floor into the caves, slept on the stone shelves carved within them. The chilled breeze that gave me goose bumps just wafted around them. With no belongings of their own they seemed so immiscible with life as we know of it, yet so one with nature. 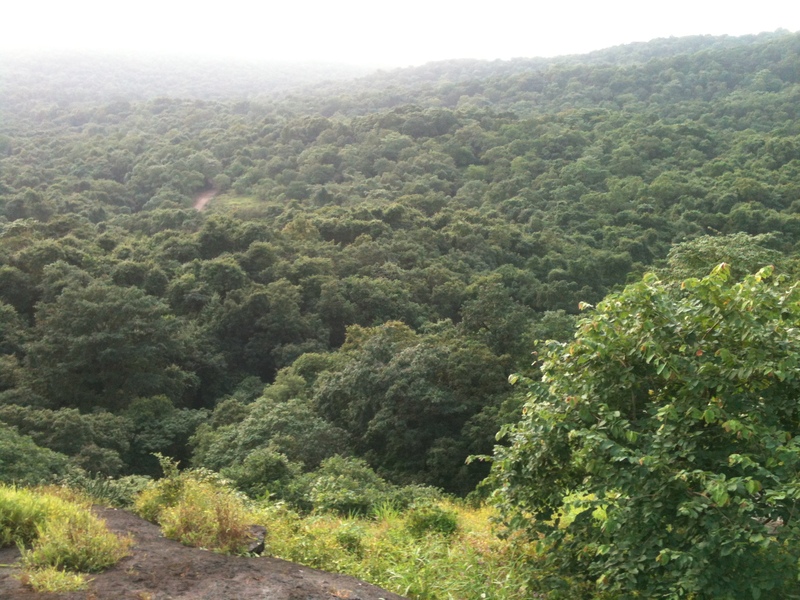 The decidous forest around forms their habiliment and the black volcanic outcrop transforms into their shelter. As I was seeing them through my mind’s eyes, I felt stuck at buffering the data. As I tried to reboot, I noticed the inexorable creeping pain through my shoulder progressing towards my back. Involuntarily though I tried to resettle the weight by shifting but it seemed heavier than before. When I was flush with my true senses again, I realised the knock-knock on my ear drums by my dearest fevicol blob. My daughter was having a bad day, which would generally mean that “I have had it!“. Not having napped through the day she seemed like an unrelenting force. After I held her properly again and distracted her by showing the monkeys, then I stepped back into my imagination. 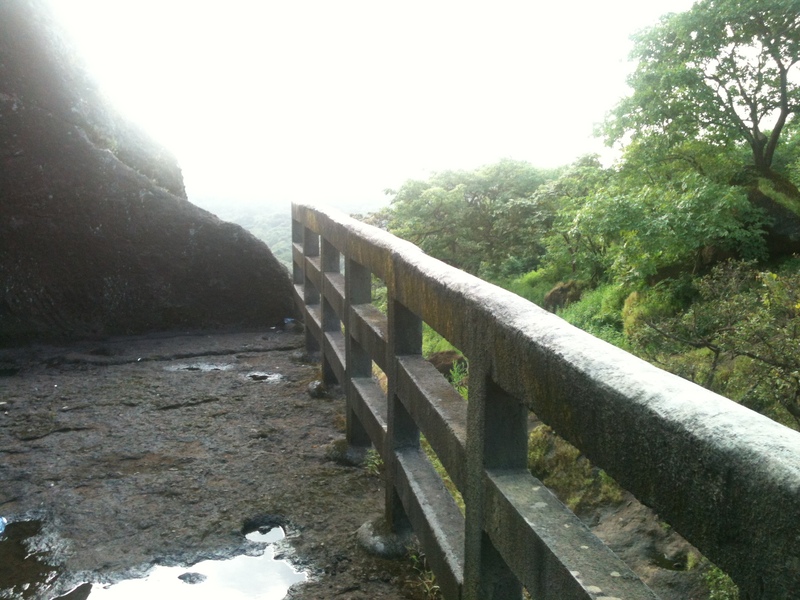 Do these steps lead to Nirvana? 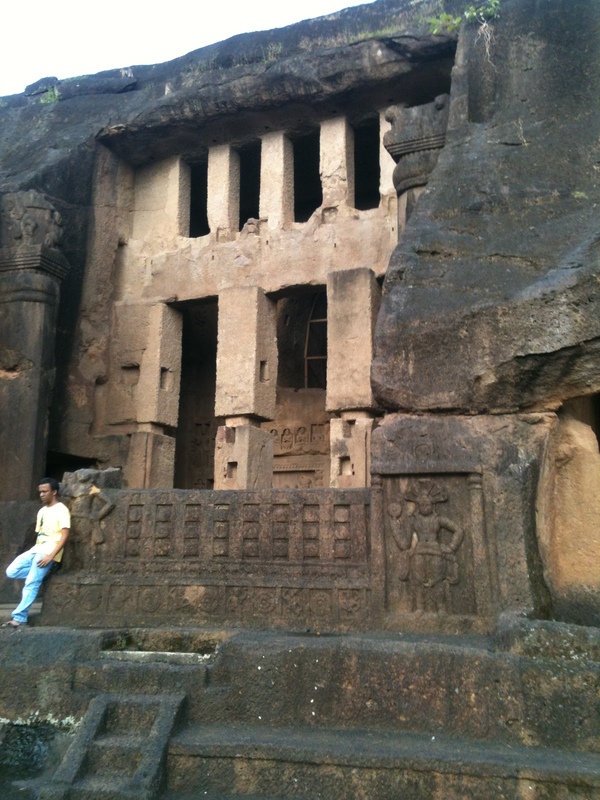 I was at Kanheri Caves in the interior forests of the Sanjay Gandhi National Park in Borivali. I have been writing about different places in Mumbai and they all have a reference that originates from the British Raj. 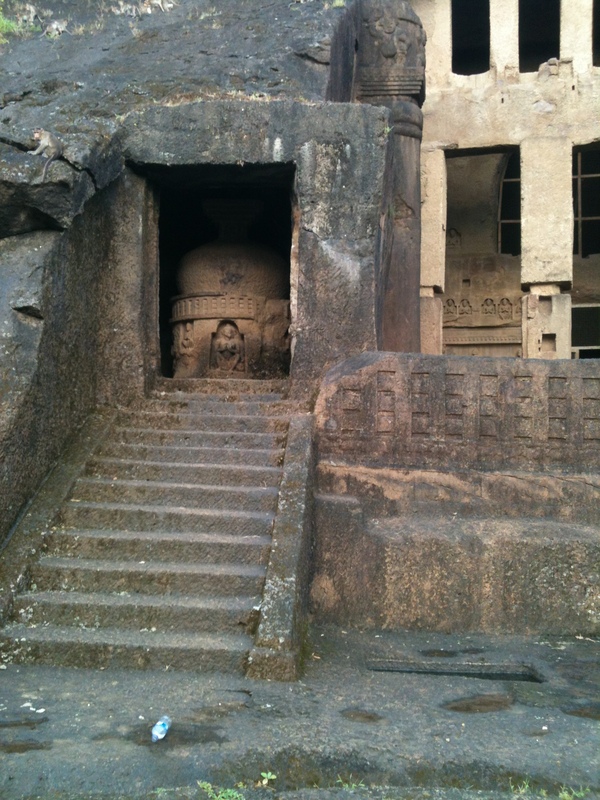 But Kanheri Caves is the monument that sets apart Mumbai as the epicentre of religious exploration more than 2000 years ago. 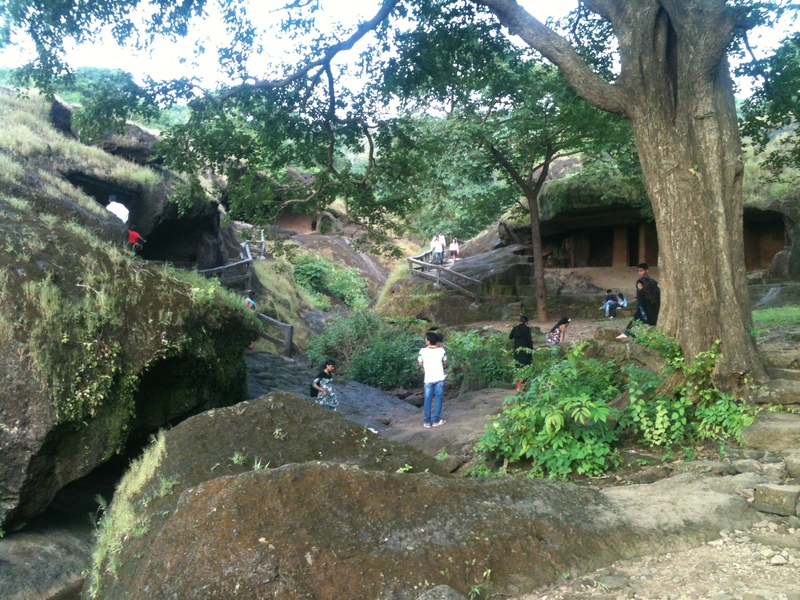 With more than 109 caves, Kanheri was probably the headquarters of all monasteries. 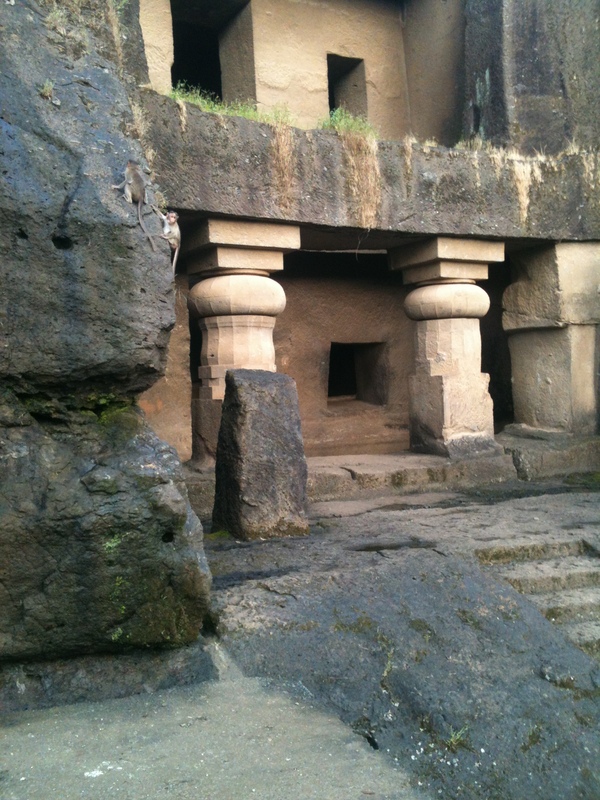 Evidence suggests that the non ornate caves were carved during 1st century BC and subsequent caves were constructed till 10th century AD. Kanheri is derived from Sanskrit words like Krishnagiri, Krishnasila, Kanhasila or Kanhagiri. 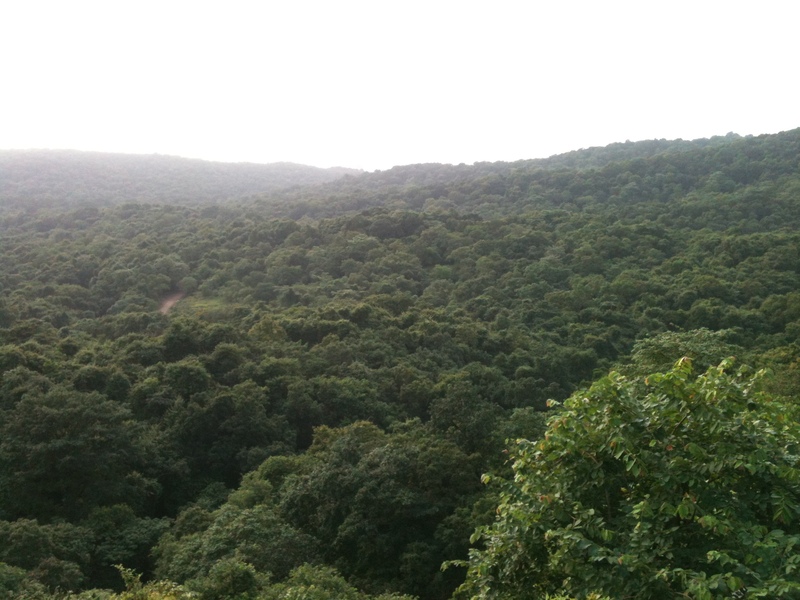 Giri means mountain and Kanha, Krishna is interpreted to be black, thus it means “black mountain” which seems reasonable given the volcanic basalt formation and in particular the bald black mountain which stands at the altitude of 1,500 ft under which all these caves are tucked. 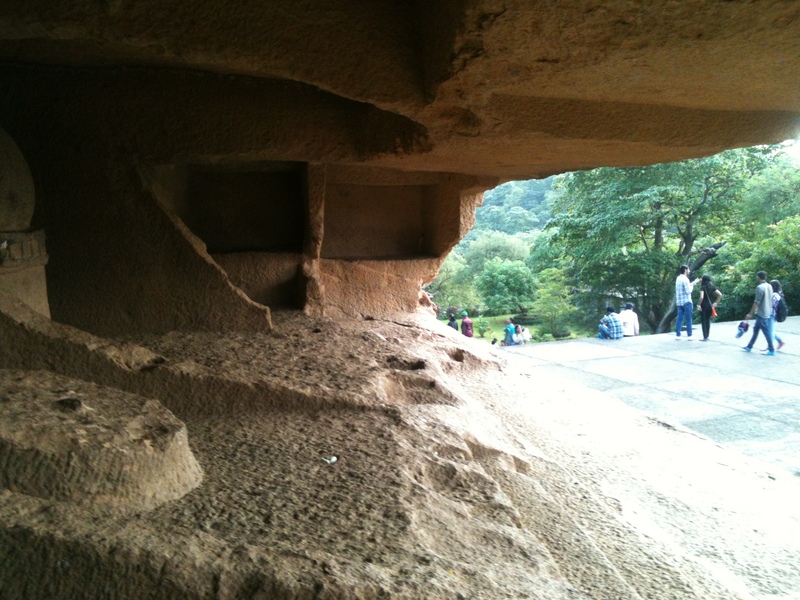 There are mentions of these words in the inscriptions inside the caves. There are numerous inscriptions on stones and copper plates written in very ancient languages like Brahmi, Prakrit and Sanskrit. 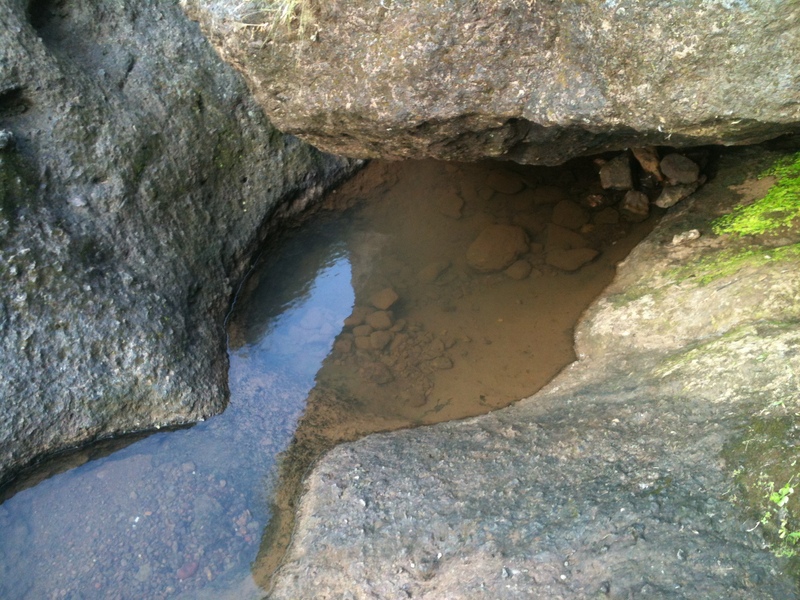 Three inscriptions in Cave 90 have been written in Pahlavi. 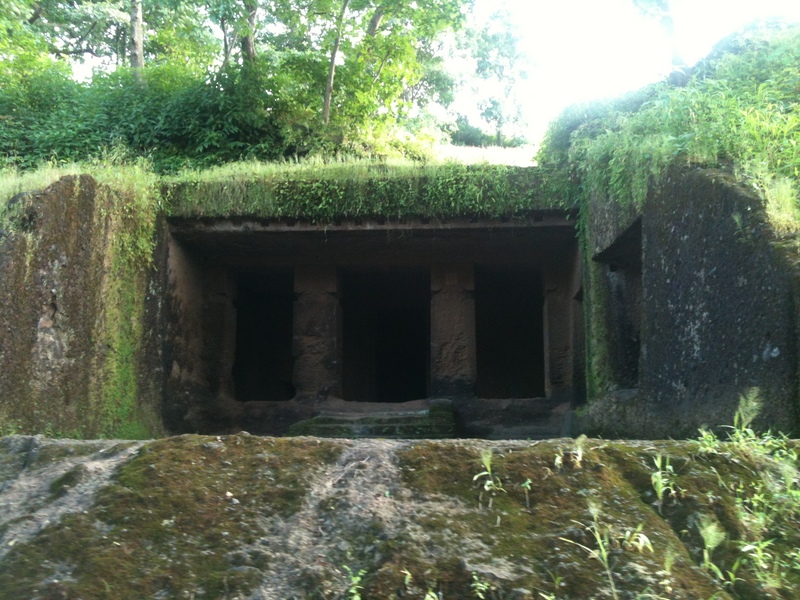 These have been left by Persian travellers who visited Kanheri twice in 1009 and once in 1021, this signifies that Kanheri was well known also in 11th century. Many of these plates are kept in the Chhatrapati Shivaji Maharaj Vastu Sangrahalaya, the Asiatic Society of Bombay and St. Xavier’s College. 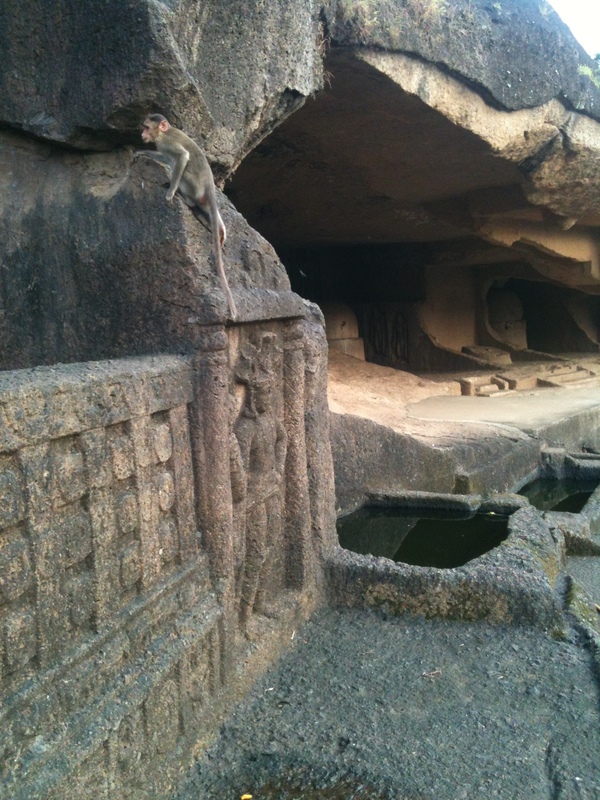 Large number of these caves had no sculptural designs and details as they were used as viharas, places where the monks lived and studied. Cave no. 3 forms a large prayer hall with ornate designs on its ceiling and entrances. 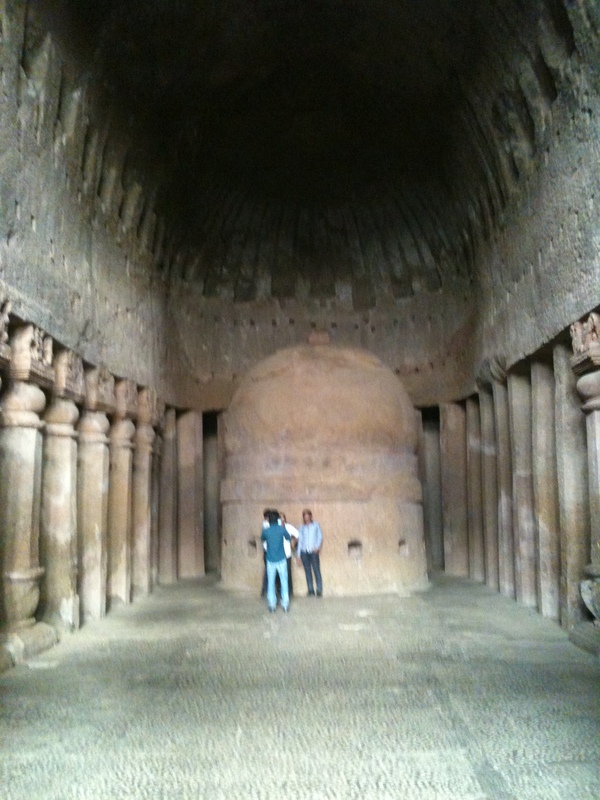 Chaitya prayer hall with a cylindrical stupa at the end of the rectangular room. There are beautifully carved pillars on either sides of the hall. 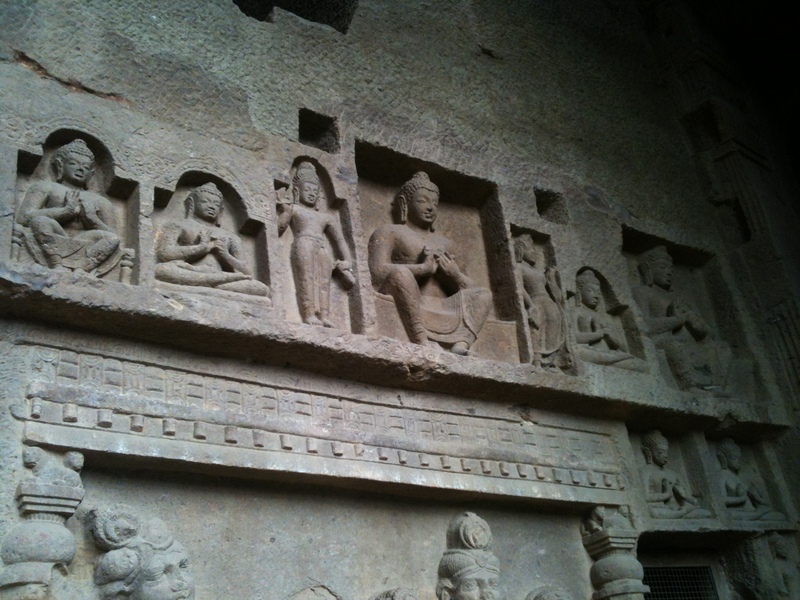 The entrance door has uniquely carved features of Buddha. 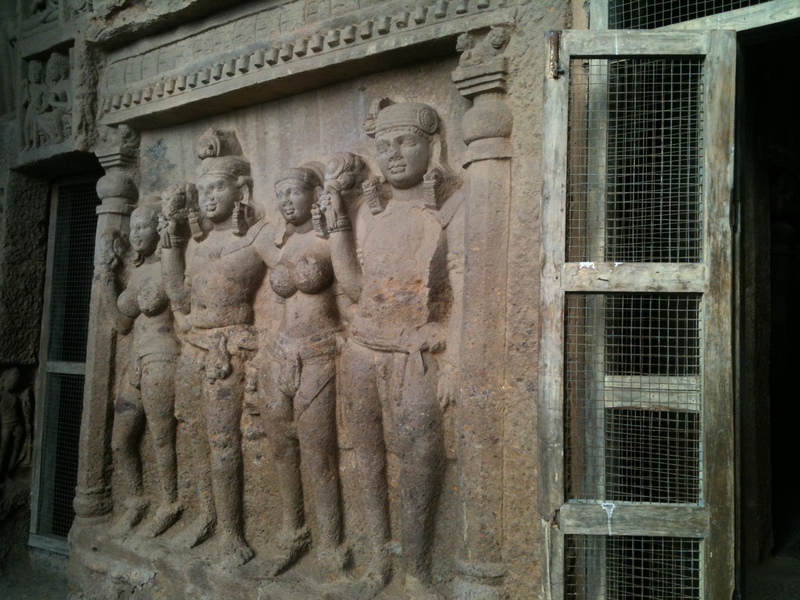 This is the sculpture of Gajasena and Gajamitra along with their wives, the two merchant brothers who funded the construction of this prayer hall. 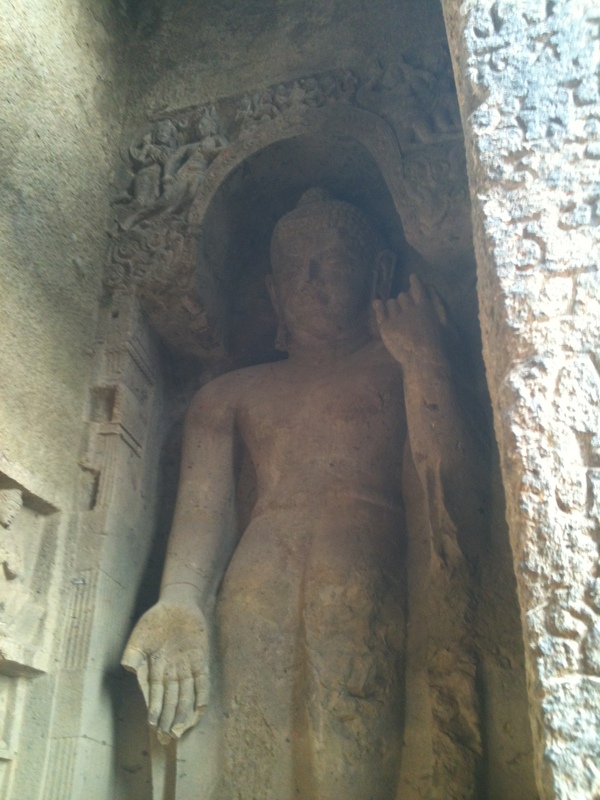 The 7 mt tall statue of Lord Buddha at the entrance of the hall. 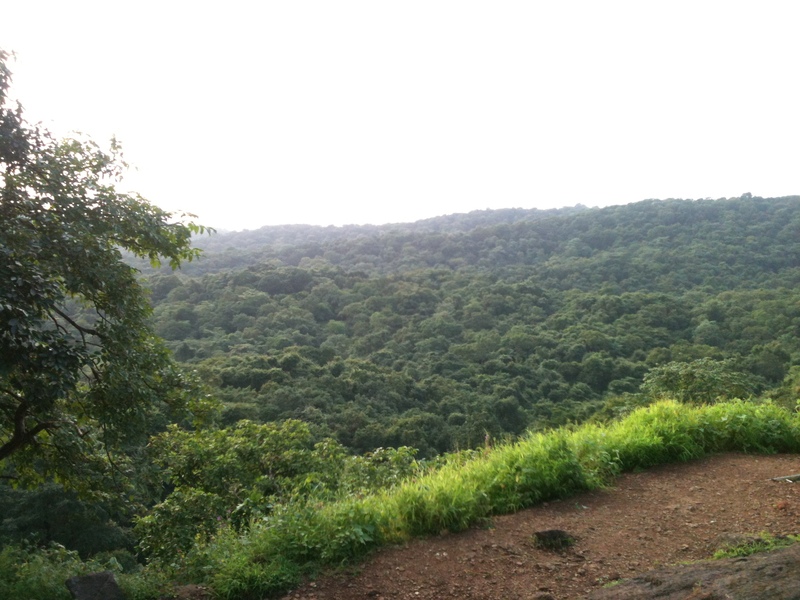 The lush green decidous forest that envelopes this mountain. The massive peepal tree just like the Bodhi-Vruksh around which there are numerous viharas. 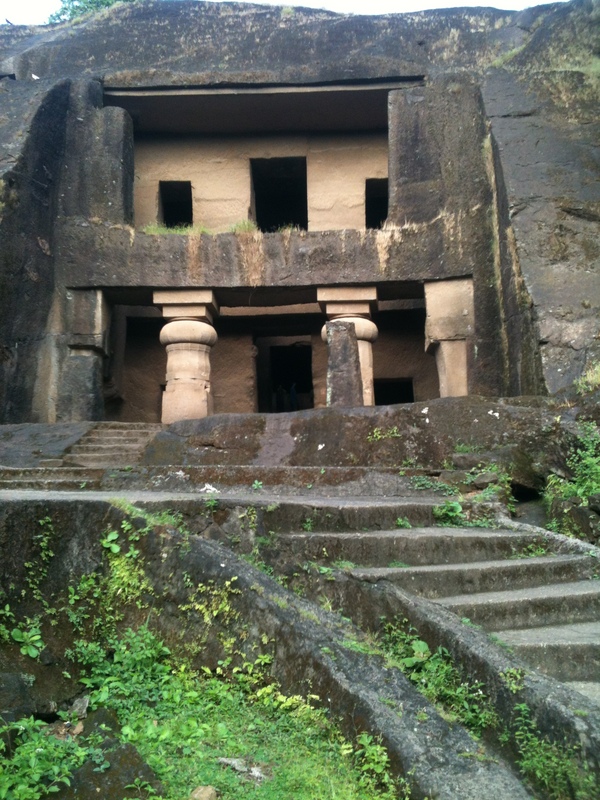 There is tons to be told about this place, I am not an archaelogist or historian to weave a wonderful for you. But I was saddened though by the fact that we live in such rich cultural and historically precious surrounding but still so oblivious to it.